The latest health research news and gadgets to help you stay healthy. 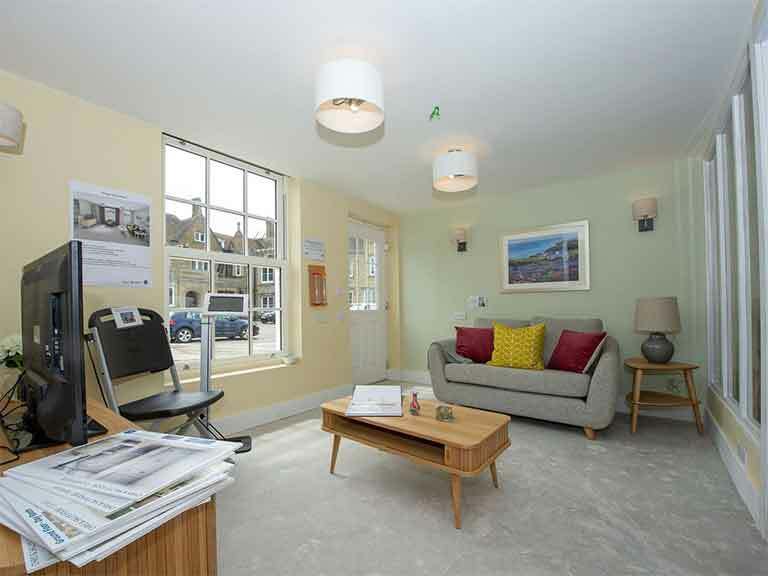 The sitting room inside Loughborough University's 'dementia home', designed together with BRE. Caring for someone with dementia? Some simple changes around the house could help them live at home for longer. A new model home, showing the kind of adjustments you can make to support a loved one with dementia has just opened its doors in Watford. The 100sqm Victorian terraced house, which is open to visit, has been adapted to address the day-to-day needs of people with different types and stages of dementia. Call 0333 321 8811 to book an appointment to visit. The Dementia Home is a collaboration between Loughborough University and leading building science research group, BRE and is supported by a series of short films detailing how to help a loved one with dementia on a good, average or bad day. As well as helping carers and people with dementia the Dementia House will help Loughborough University’s ongoing research into how the features are used, with a view to further improving ways to support homeowners with dementia. Your favourite bevvy could help you to a longer life. So suggests a UK study of half a million Brits aged on average 57 years. It found that people who drank six or seven cups of coffee a day were 16% less likely to die from any disease over a 10-year span than non-coffee drinkers. Two to five cups reduced early death rates by 12%, while one cup a day, or less than one cup a day reduced them by 8% and 6% respectively. The results held for instant, ground, and decaffeinated coffee, suggesting that benefits may be down to non-caffeine ingredients in coffee. Think biologically active compounds like antioxidant vitamins, minerals and phytochemicals. Long gone are the days when we had our own GP. But now a large UK study has found that people who see the same GP each time they visit the surgery have a better chance of avoiding an early death. The reason? ‘Continuity of care leads to better communication, patient satisfaction, adherence to medical advice and lower use of hospital services,‘ suggest the researchers. Time for a return to the good old days? Symptoms of liver disease can be hidden and, once detected, the damage is often already done. Now a new quick blood test is in development. It can detect fibrosis, the first stage of liver scarring that can be fatal if left unchecked, in just 30-45 minutes. Watch this space. As we edge into autumn, hands can take a hit. Enter O'Keeffe's Working Hands hand cream. Containing a unique formula of moisturising ingredients including glycerin, it helps soothe and hydrate chapped or cracked areas of skin. £6.62 from Amazon, supermarkets and pharmacies. As if depression in itself isn’t bad enough it can also increase the risk of fatal heart disease. A double whammy. But on a more positive note a new US analysis has found that people around the age of 50 diagnosed with depression, but who have high levels of fitness have a 56 % lower risk of dying from heart disease later on. Time to get a move on?